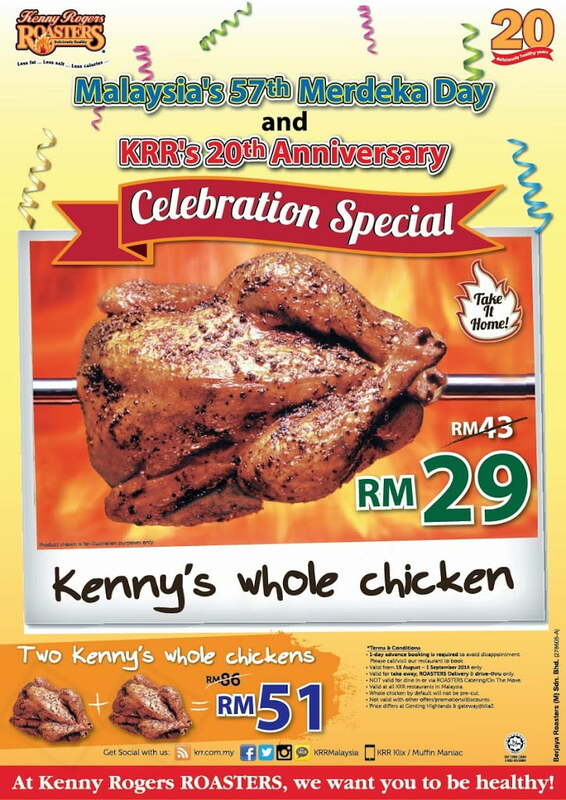 Buy 1 Kenny’s Whole Chicken at RM29 only. Buy 2 Kenny’s Whole Chicken at RM51 only. 1-day advance booking is required to avoid disappointment. Please call/visit our restaurant to book. Valid from 15 August -1 September 2014 only. Valid for take away, ROASTERS delivery & drive-thru only. Not valid for dine in or via ROASTERS Catering /On The Move. Whole Chicken by default will not be pre-cut. Price differs at Genting Highlands & gateaway@klia2. 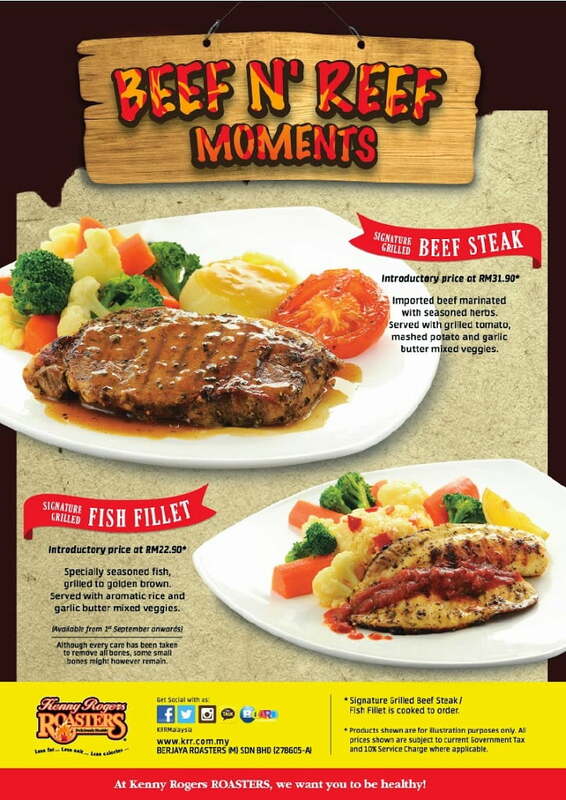 Signature Grilled Fish Fillet – A menu with specially seasoned fish, grilled to golden brown. It’s served with aromatic rice, and garlic butter mixed veggies. The introductory price is RM22.50. Signature Grilled Beef Steak – Imported beef marinated with seasoned herbs, served with grilled tomato, mashed potato, and garlic butter mixed veggies. Introductory price at RM31.90. Both dishes will be made available in all KRR nationwide starting from 1st September 2014. More info click here!